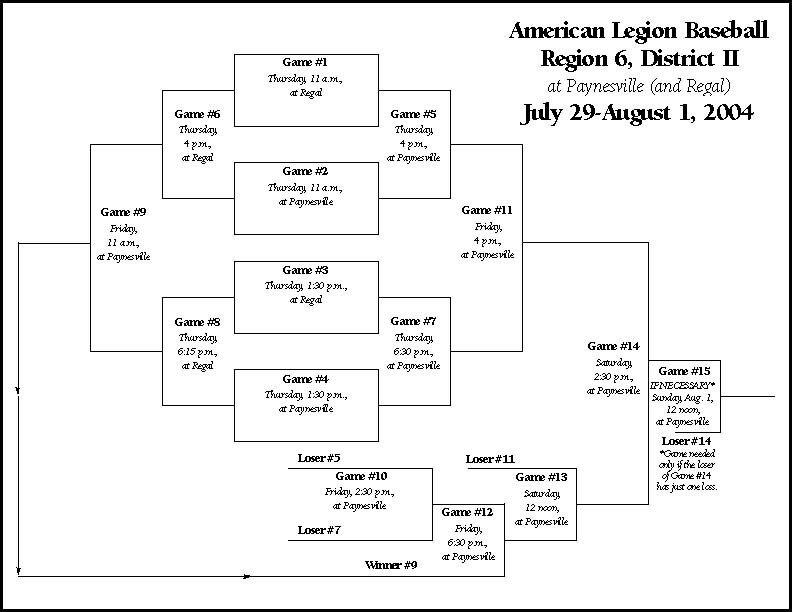 Paynesville will host a regional American Legion baseball tournament this weekend, with eight teams vying for a berth in the state tournament. Paynesville won the Division II state title last year and is seeking to advance to state again. Paynesville has played at state four times in the past seven years. The tournament will start on Thursday, July 29, with games at the baseball field in Regal and at the high scvhool field in Paynesville. Paynesville opens with a game against Pierz on Thursday afternoon at 1:30 p.m. in Paynesville. If they win, they will play at 6:30 p.m. on Thursday in Paynesville, and if they lose they will play at 6:15 p.m. on Thursday at Regal. The tournament continues on Friday, Saturday, and Sunday with all three games to be held in Paynesville.